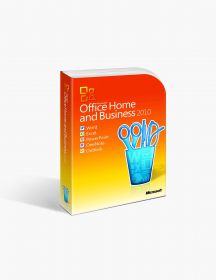 You're reviewing: Microsoft Office 2013 Home and Business Pc License. One of the main objectives of the Ms Office developers is not just meeting, but surpassing the ever-changing customer needs. That’s how the 2013 version of the MS Office suit came along and it’s safe to say that it’s exactly what customers needed plus a little extra. It comes with a clean and modern design and improved Ribbon so you can easily locate every tool you need. The MS Office 2013 Home and Business PC License is perfect for you if you’re permanently using only one personal computer and one install is good for the life of your PC, although you can not transfer it to another computer. The app selection in this pack, although rather on the minimalistic side, is however a powerful combination guaranteed to help you be more efficient and productive. Word 2013 - Living up to its title as the best text editor with millions of users across the world, the 2013 version of the app does not disappoint. On the contrary - it includes even more tools and features to facilitate users’ work. With Word 2013 you can not only read, but also edit PDF files as well as many other file extensions, meaning that you won’t need a number of text editors for every type of file. There is also a new reading mode feature that allows for a better reading experience plus, Word will open every file you’ve previously opened on the same page you left it when you closed it so you won’t have to spend time finding the exact spot. Excel 2013 - The 2013 version of the spreadsheet developer comes to you with a new and improved interface perfect for beginners. You can create spreadsheets or manage your data and finances without being a professional with tools like Recommended Charts, Recommended Pivot Tables and Quick Analysis. Another great new feature is the Flash Fill tool that learns to recognize your pattern of typing and autocompletes data for you - the only thing you have to do is to press Enter in order to accept the suggestion that Flash Fill will give you. PowerPoint 2013 - One of the most exciting and useful new features in the 2013 version of PowerPoint is the Presenter View which allows the viewers to see the presentation itself while you are looking at your presentation notes. What’s more, you can now broadcast your presentations online in real time and give the viewers the option to download the presentation. And if you wish to, you can save the presentation as a video file for more convenience.Naturally, PowerPoint 2013 comes loaded up with even more templates, editing tools, graphic libraries and more. OneNote 2013 - Perhaps the best app for collaborating, OneNote allows you to collect your ideas in one place, no matter of their form and shape: you can put down text, pictures, media files, tables, charts, and many more. But one of the main features that makes OneNote stand out from the other note-taking apps is that it’s specifically designed for collaborating - all you need is a SkyDrive account that you need to link to OneNote and start working on projects together with your partners. Of course, OneNote provides you with improved tools for formatting text, editing photos and customizing everything else to your taste. Outlook 2013 - Outlook is an irreplaceable personal assistant that boosts up your productivity and saves you precious time. The app has it all: it’s an email client, includes a calendar, a task manager, a contact book. Some of the newly added features include connecting your social media accounts so you can get notifications directly in Outlook as well as inline replying, meaning that you can reply to messages with just a single click. The People Card function collects all the info related to a particular person in your contact list so you can see their contact information, scheduled meetings with them or you can email them straight from the People Card. Work on all your devices. The 2013 version of MS Office is optimized to work on all devices for the user's’ convenience. Improve your productivity by using the MS Office apps on your phone or tablet anywhere and anytime. Designed for collaborating. Your workflow will never be the same with the new and improved co-authoring feature of the apps included in the Microsoft Office 2013 Home and Business pack. Now it’s easy to collaborate on projects with your colleagues and you can save the to OneDrive automatically. with the Word, PowerPoint and Excel Web Apps and they are completely free to use! You can also share your work on. Access to your files all the time. Storing your files on your personal computer only is in the past. The future is OneDrive where you can save all your documents and access them easily from everywhere, as long as you have internet connection. You can also give other people access to certain documents and also request feedback from them. Why Invest in the 2013 Home and Business pack? Save money. 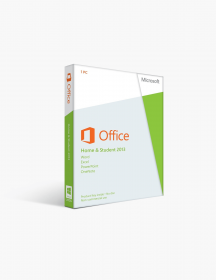 If you only need the Microsoft Office suit for one computer, you can save money by purchasing the Microsoft Office 2013 Home and Business PC License. After purchasing it, you can install it immediately and embark on the journey of even more productivity. Perfect for your business. 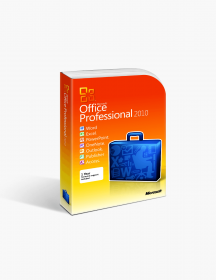 The right office suite can significantly improve your productivity and efficiency and we believe that Microsoft Office 2013 Home and Business PC License is the right product for you if you own a small business or even for personal use at home. This pack includes the essential apps you will need to manage your work easily and with precision and professionalism. A guarantee for a quality software. There are millions of people around the world who have used and continue to use the MS Office, praising it as the best one on the market. The developers of the office suit have always strived to surpass users’ expectations and to develop products that are functional, versatile and easy to use. These are minimum system requirements for installing Microsoft Office 2013 Home and Business Pc License.